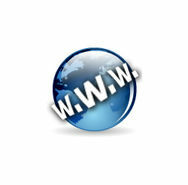 You can register or transfer one or more second-level domain names (like www.mydomain.com) with EditArea. The domain will be automatically fitted to target your EditArea website. you can re-direct the DNS to point to our server.